We have been fine dining for a long time now, so how is it that we never quite got round to Le Gavroche? Every time we go to London, we have a huge list of places we want to try. I made the executive decision that our anniversary trip this year would see us visit Michel Roux Jr's two star restaurant. Le Gavroche was the young street urchin or ragamuffin from Les Miserables. A painting of the young man hangs in the restaurant bar, the crockery bears his logo and most of the cutlery has the little chap on the handles. Deep in the heart of Mayfair is a shiny door with a 1970s style illuminated sign with the 'Le Gavroche' script over the top. You are taken through the plush bar down some stairs to the restaurant. 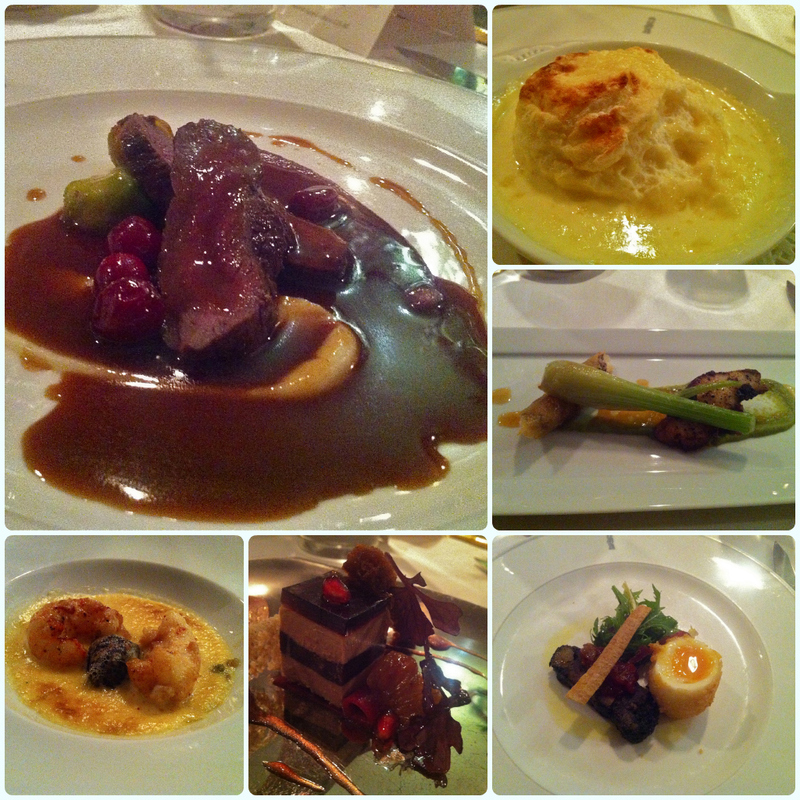 First impressions of Le Gavroche? I cannot believe we have waited until now to come here! The dining room is dimly lit with deep reds and golds, the tables are well spaced and large flower arrangements adorn the alcoves. Tables are decorated with small lamps, personalised chargers and silver ornaments made form cutlery. Comfort is key. 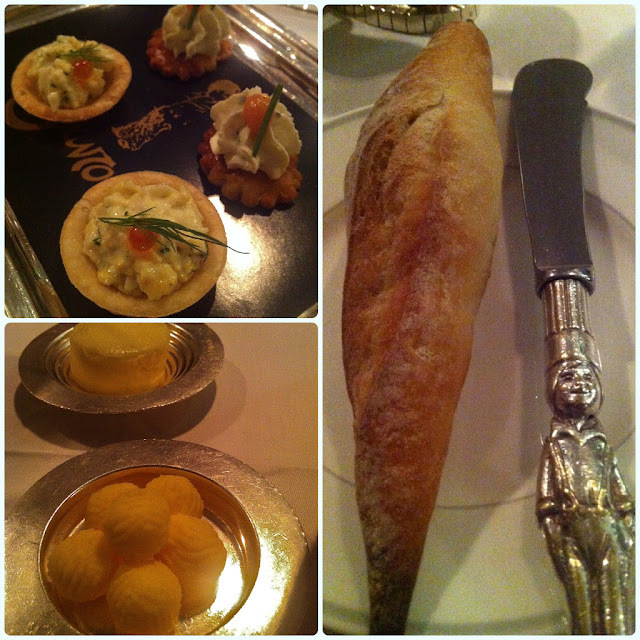 Le Gavroche feels homely and warm. 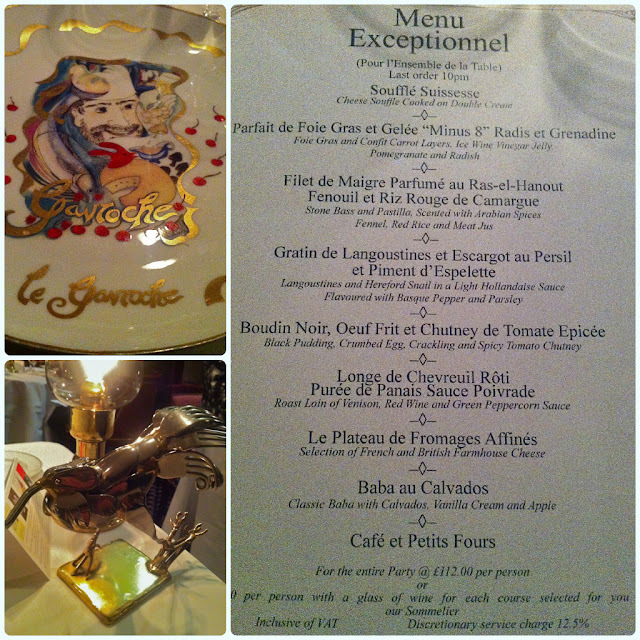 We decided to have the Menu Exceptionnel to get the full Le Gavroche experience. Before the menu began, we were brought a selection of breads to choose from, along with some canapes. Fresh and delicate, these were the perfect start to the meal. They accidentally brought us two servings of these. Oops... happy accident! Starting with their signature dish; the Soufflé Suissesse, this is an opulent but well proportioned menu. The soufflé is one of the richest things I have ever eaten in my entire life. A cheese soufflé cooked in double cream. I am convinced this must have been about 6000 calories! Absolutely divine. I'm sure this is tactical. If you have ever had a large tasting menu, you know that by around half way through you are praying for it to end, even though the food is amazing. Dishes might be small, but tend to be incredibly full bodied. This leads to both physical and mental going-to-burst-ness. By starting with the richest dish in the world, everything else seems much lighter in comparison! Next came the foie gras, served layered with confit carrot layers and ice wine vinegar jelly with pomegranate seeds. Yes, foie gras is very heavy, but this was served with sweet juices and fruit, which lightened the dish. I am not a fan of the fluffy livery stuff so I made my husband eat it! On the up side he loves it, so we were both happy! Next was the standout dish of the night for me. Wait for it... it was fish! You know that fish is generally one of my mortal enemies (ME number three in fact), but this was one of the best things I have ever eaten. Stone bass with Arabian spices and red rice. It reminded me a little of the beautifully spiced monkfish we had at Purnell's in Birmingham, but a million times better! This really whipped Glynn's backside. Sat reeling from the wonderful flavours in the stone bass, I saw my husband scowling. I then realised he was looking into the large mirror behind me. I got him with a 'what's up with you?' look only to realise what he had seen; the reflection of Michel Roux Jr in the mirror! He was less then three meters away from us. He moved to the table next to us and summonsed the waiting staff to bring more bread to the chaps who had just finished their venison dish. He insisted bread was needed to mop up the remainder of the sauce! When he came to our table for a chat, I was sure my face would explode! Luckily the dining room is dimly lit so hopefully he thought I was just fond of blusher. He stayed and had a chat about the bass, before moving on round the room. What a nice fellow! Made my bloody day. The langoustines and snails that came next were served in a buttery Hollandaise sauce with a grilled cheese top. Perfection! The black pudding, crumbed egg and crackling sounds heavy, but actually wasn't at all. It was served with a zingy tomato chutney which made the dish seem much lighter. By the time the venison turned up, I actually felt okay! By this point I am normally cursing my greed, the size of the menu and complaining that part of my dress is digging in. We were both feeling remarkably perky! The venison dish came with sprouts, cranberries and a thick red wine sauce. A real taste of winter. Heather, the first photo is for you. Look at the size of that bloody trolley! The chap next to us told us that the old cart had a dodgy wheel and needed a three point turn to get round the dining room! This one wasn't much better. The poor girl pushing it around looked in agony! She has a brilliant French accent which reminded me a little of our friend Lumière from L'Enclume (aside: this was not his real name - he just reminded Vicki and I of the talking candle stick from Beauty and the Beast). Then came the babas. Yes cake fans, they served me a mini bundt! They even popped a little candle in for our anniversary. Drizzled in Calvados, it was an interesting twist on the standard rum version. Now we were full. Still not dying, but happily full. That's when the line of petit fours occurred. Carrot cake, macarons, caramel fruits and sesame tuiles. Tea and coffee is served with a wooden box of nougat and chocolates. Beautiful, but killers. The devil is in a sliding wooden box. 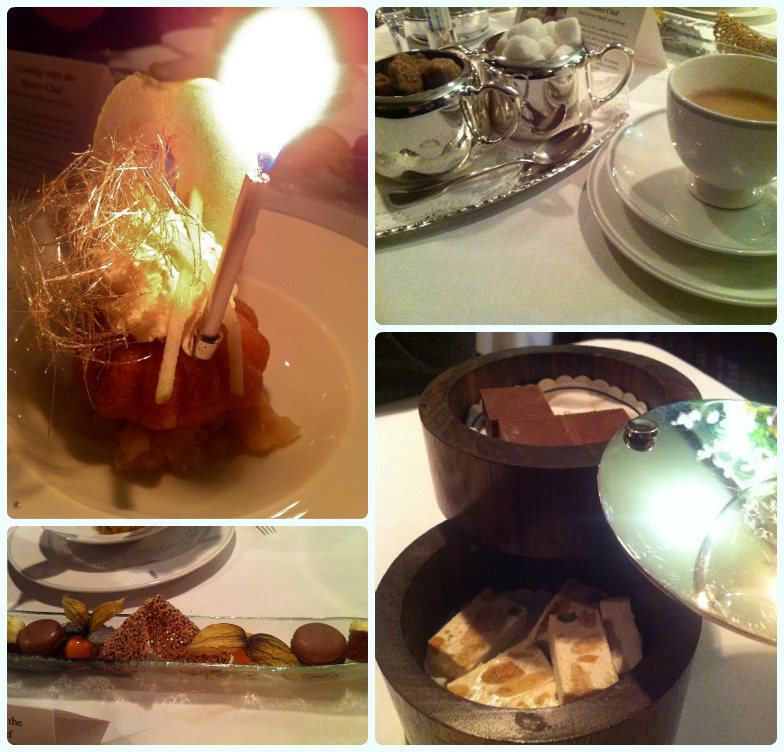 We had a fantastic time at Le Gavroche. We agreed that this was down to three factors; the food (obviously), comfort and atmosphere. Not only is the dining room a comfortable place to sit for several hours, but the friendly staff and decent gaps between courses meant that we were never over-faced. Everyone here is having a good time; smiles and laughter fill the room and there is no stuffiness whatsoever. We had a lovely chat to the chaps next to us who recommended a few places for our next London visit too. It's that sort of place. Fellow diners get excited when they see you are about to eat something they really enjoyed. A great experience! I found this short video created by Michel Roux Jr on the Le Gavroche website which explains the restaurant's ethos. Definitely worth a watch! 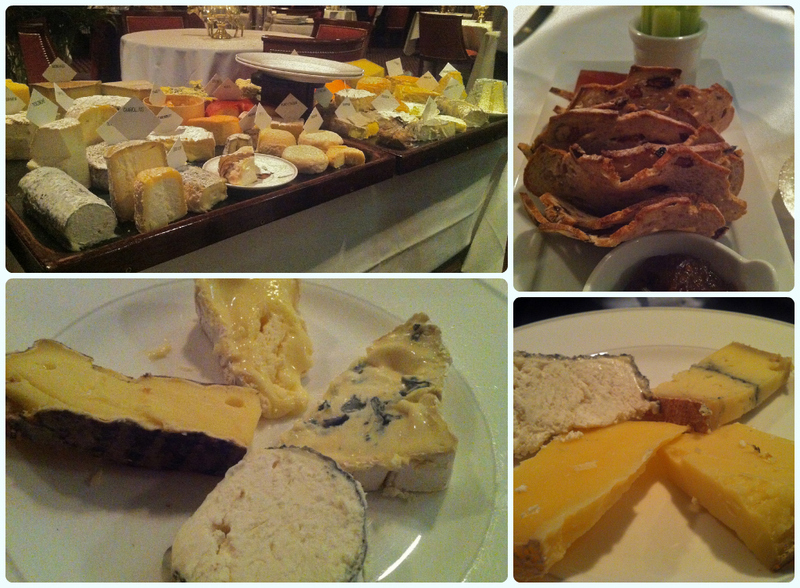 Oh my check out that cheese trolley. Looks fab! You will bloody love it! So much more than classical French!